A range of products selected because they do 'what it says on the tin'. I admit it. I increasingly find myself tuning out when I see new skincare and beauty products mentioned in print or on social media. I'm tired of seeing items promoted by people famous only for having a big bum or 'on fleet' eyebrows (funny my careers officer never mentioned these options...). And I don't for one minute believe that the reality star Instagramming a filtered pic of detox tea/teeth whitening/countouring kits has even opened the box, let alone seriously tried and tested the item they are co-incidently getting a fee to mention. Partly, it's because my time in publishing has opened to my eyes to how brands 'encourage' editors to include them in their roundups too (big basket of freebies, cough, splutter), and it's also because I don't buy products tested on animals, and it's easier to stick to brands like Neal's Yard and good old Superdrug, which have always made a point of being cruelty-free, than to waste hours shopping for newer lines checking out their ethos and real provenance. But perhaps I'm missing out? Are there lots of new ethical products out there I would like to try, and companies I'd like to show my support for? And how do I make time to find them? Good news on that front! Somebody else has done all the hard work for me - well a few people actually - from a company called MyShowcase. 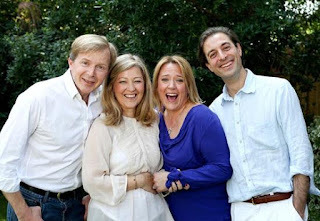 I first learnt about MyShowcase via an old school friend, Katherine, who works as a Stylist for the team. 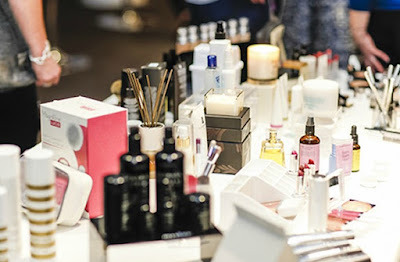 The company is a personal beauty shopping service, that offers over 45 independent beauty brands curated by award-winning beauty editor, Kate Shapland (a lucky and talented lady that was Beauty Editor at The Telegraph Magazine for 15 years). The range covers skincare, cosmetics, fragrances, toiletries and well-being products, and Katherine gets to home sell the items (and play with them all at lots of training events too!). The brands are mostly British - and are the ones you won't necessarily see muscling in to department stores or onto the pages of the Sunday supplements because they are often newer, smaller and independent. The founders insist that the product ranges meet four criteria - that the items must do what they promise, that they must represent good value for money, that they should be nicely packaged and that the brand itself has passion behind its story. Part of the ethos of the company is also to promote start-up businesses and female entrepreneurship too. This is down to the input of Nancy Cruickshank, Founder and CEO, who founded and ran Handbag.com (interestingly I used to write content for them many moons ago, so I'm all over this factoid!). 'The best young skin brand' - Kate Shapland, co-founder. For Katherine, the business is one that fits around her 'mummy' lifestyle - she can fit the one-to-one sessions or the small and large parties she offers around school hours and all those extra-curricular activities kids have. A lot of her customers are also time-short mums, wanting to treat themselves or buy for others (the products suit everyone from 13 to 80 years) - without schlepping around the high street. The company is fairly new in the UK, so if you're interested in becoming a stylist yourself, that's a viable option. But for the majority of us, MyShowcase offers a great range of ethical products that work - stuff for yourself, your kids, your friends and family - young or old, male or female. 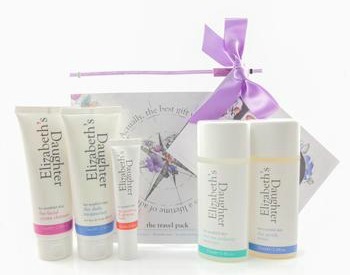 Katherine's personal faves are the Aurelia Probiotic Skincare range, the skin and body brushes from Magnitude London - and products from the Elizabeth's Daughter line - inspired by the teenage daughter of its creator. A quick whiz through the site also turns up everything from lips balms in Hartley Hare rings from Andrea Garland to live bacteria capsules to help support and maintain digestive health from Just For Tummies.